ASK DR. BAUMAN Start your Long Distance/Phone or In-Person/In-Office Consultation with Dr. Bauman Since 1997, Dr. Bauman has helped over 15,000 men and women with hair loss from all over the world. If you are interested in learning more, start with one of our convenient options below. Long-Distance/Phone Consultation with Dr. Bauman? >CLICK HERE TO START< In-Person/In-Office Consultation with Dr. Bauman? >CLICK HERE TO START Privacy is our Policy View our privacy statement Visit Dr. Alan Bauman on Google GET ADOBE PLEASE NOTE: Many of our newsroom files require Adobe Reader. To download Adobe Reader free, click here. .
Click on the links below to see what’s hot in hair restoration therapy, media coverage of Dr. Bauman and our patients. https://www.844gethair.com – Female hair loss sufferer, JoAnn, contacted The Doctors with hair thinning and hair shedding concerns. For millions of women hair loss is a significant problem. Stress, heredity, medical conditions, medications, nutrition and many other factors can contribute to hair loss in women. Today, hair loss specialists use a multitude of effective treatments to slow stop and reverse the hair loss process. Weak hair, thinning hair, loss of volume or severe shedding are common symptoms of the problem. An abnormal amount of hair in the brush or drain can be signs that hair loss is occurring. Your local dermatologist may NOT have the time or treatments to offer. Full-time hair loss specialists, like ABHRS-certified Hair Restoration Physician, Dr. Alan Bauman are your best source of diagnosis, treatment and accurate tracking of your hair loss and hair regrowth status. Dr. Alan Bauman was invited on the Emmy Award winning show The Doctors to discuss low level laser therapy with LaserCap, a non-chemical, non-drug treatment for hair loss for hair loss sufferer JoAnn who had been noticing more hair in her brush, shower drain and less hair on her scalp. Low Level Laser Therapy is a non-chemical, non-drug, side-effect free way to improve hair growth. Laser therapy can be used as a stand-alone treatment or in conjunction with other therapies such as PRP Platelet Rich Plasma, prescription topical medications (like Formula 82M), oral medications and supplements as well as no linear scar NeoGraft FUE hair transplants. At Bauman Medical Group, we have successfully treated thousands of men and women with low level laser therapy since 1997. For men and women suffering from thinning hair and hair loss, a full medical evaluation is recommended to determine genetic risks, medical conditions, nutritional status and other factors that influence hair growth. Dr. Bauman also recommends obtaining scientific baseline trichometry measurements with the HairCheck cross-sectional hair bundle trichometer and HairCam dermoscopy for tracking purposes BEFORE starting any regimen. For more information on how you can be a part of a clinical trial and have a chance at receiving a FREE LaserCap, visit www.844GetHair.com or call 1-844-GET-HAIR. Dr. Alan J. Bauman, M.D. is a full-time certified Diplomate of the American Board of Hair Restoration Surgery who has treated over 15,000 hair loss patients from across the globe since 1997. He has pioneered hair restoration treatments and procedures such as minimally-invasive FUE NeoGraft hair transplants, low level laser therapy for hair regrowth, compounded hair growth medications, eyelash and eyebrow transplants as well as Platelet Rich Plasma (PRP) treatments using placental ECM additives. For more information about medical treatments for hair loss as well as more before and after photos, visit baumanmedical.com and request a consultation with ABHRS-certified Hair Restoration Physician, Dr. Alan J. Bauman, M.D., from anywhere in the world. Please subscribe on YouTube, follow Dr. Bauman on Twitter @DrAlanBauman https://www.twitter.com/dralanbauman and become a fan on https://www.facebook.com/baumanmedical Thanks For Watching! https://www.baumanmedical.com – PRP Hair Regrowth with Placental Extracellular Matrix – In the search to improve his patients’ results with PRP Platelet Rich Plasma, hair loss expert Dr. Alan Bauman is the first board-certified hair restoration physician to study a new alternative to ACell which contains cryopreserved placental tissue. PRP is a non-surgical, non-invasive method of hair growth stimulation and tissue regeneration which takes less than one hour in the office. There is no recovery and no downtime. Male or female patients with hair loss or thinning hair can expect to see improved results in the areas where miniaturization of hair follicles has occurred. “NOT ALL PRP IS CREATED EQUAL!” says Dr. Alan Bauman. Dr. Bauman recommends a complete hair loss consultation including microscopic HairCam and scientific measurements using HairCheck to evaluate and track hair loss and hair growth progress before starting ANY treatment regimen. To find out if you are a candidate for PRP Hair Regrowth using Placental Extracellular Matrix, visit https://www.baumanmedical.com and request a consultation today with Dr. Alan Bauman. In-office and long-distance consultations are available. https://www.baumanmedical.com – “Vampire PRP Hair Growth” on NBC – WPTV Palm Beach w/ Alan J. Bauman M.D. PRP Hair Growth Treatment is available at Bauman Medical Group in Boca Raton, FL. PRP or Platelet Rich Plasma is a safe medical treatment that uses your own body’s blood platelet-derived growth factors to enhance hair regrowth without drugs or surgery. Autologel PRP is often combined with ACell, or other tissue-regenerating Extracellular Matrix products. The treatment is immediately followed by mechanical (non-roller) micro-needling using the MicroPen device and low level laser therapy with LaserCap or a clinical in-office device. Scientific measurements with HairCheck are always performed prior to any treatment or procedure and every 90 days thereafter to track results. To find out if you can benefit from PRP + ACell, or other medical treatments, please request a consultation with hair loss expert and ABHRS-certified hair transplant surgeon, Dr. Alan J. Bauman in Boca Raton, Florida by visiting https://www.baumanmedical.com or email Dr. Bauman directly at Email Dr. Bauman Thanks for Watching! https://www.baumanmedical.com WPLG – ABC News – “Hair Loss Myths” Summary: Hair loss affects millions worldwide, but their are many myths and misconceptions regarding the medical diagnosis, evaluation and treatment of thinning hair and baldness. Consumers and patients should first seek out the advice of a trusted medical professional, certified by the American Board of Hair Restoration Surgery and experienced in diagnosis and treatment of male and female pattern hair loss. Not all medical professionals have the same level of experience and training. Renowned hair loss expert, Dr. Alan J. Bauman, M.D. was asked by ABC News affiliate WPLG in Miami / Ft. Lauderdale to discuss some common hair loss myths… Brushes, magnets and scalp massages are unlikely to help hair growth. Powerful, portable devices and consistent use of Laser Therapy can help your scalp produce thicker, healthier looking hair. Minoxidil will not work on a completely bald area. Also, some people lack an enzyme, called sulfotransferase, which is needed to activate minoxidil, preventing it from being effective. New Minoxidil Sulfotransferase testing also called “Minoxidil Sensitivity Testing” is now available from Dr. Bauman at Bauman Medical Group if you are not responding to minoxidil/Rogaine. Bauman patient, Anne Cook, was seen using Pantene AgeDefy Hair Thickening Treatment which visually and measurably improved her hair’s thickness and volume. Major advances in hair transplant like NeoGraft FUE heal faster, more comfortably and leave no linear scar. However, not everyone is a candidate for a hair transplant. For more information about hair loss diagnosis, treatment options, or to see if you are a candidate for a hair transplant, please contact: Dr. Alan J. Bauman, M.D. by visiting https://www.baumanmedical.com or emailing Email Dr. Bauman Thank you for watching! https://www.JoinTeamBauman.com – Hair Loss Expert Dr. Alan J. Bauman Launches Nation’s First “Certified Hair Coach” Training Program for Hair Stylists and Salons PR Web Summary: Internationally renowned hair loss physician Dr. Alan J. Bauman recently launched the country’s first ‘Certified Hair Coach’ program to train hair stylists and salons on how to help men and women who are concerned about hair loss. The program is unique in that it provides consumers with actionable information by combining scientific hair tracking measurements with a set of non-invasive, easy-to-follow hair improvement plans and options. Early intervention is key to fighting hair loss and thinning, as once it has become apparent to the naked eye, 50 percent of the hair may already be gone. Delray Beach-based Bond Street Salon is first in Palm Beach County to attain the Bauman Certified Hair Coach™ designation and offer this new service to its clients. 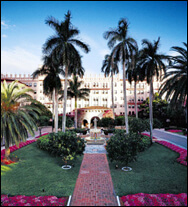 The next class is December 10th in Boca Raton. Boca Raton, Florida – One of the first conversations hair loss sufferers have about their concerns isn’t with their doctor, significant other or friend – more often than not, it’s with their trusted barber or hair stylist. With that in mind, internationally renowned hair loss expert Dr. Alan J. Bauman recently launched the country’s first non-medical Certified Hair Coach™ program to teach hair stylists and salons how to help consumers catch hair loss early, track it, and learn what they can to do to fight it. ABC Television News Station WPBF Channel 25 in West Palm Beach recently reported on Bauman’s new Hair Coach program and its innovative solutions for salon owners, stylists and consumers. https://www.coachmyhair.com “Over the past 15 years, I’ve treated thousands of men and women suffering from hair loss,” said Dr. Bauman, founder of Bauman Medical Group in Boca Raton and a board-certified hair restoration physician. “In many cases, these patients weren’t aware that they had hair loss until it became very noticeable. By the time hair loss is visible to the untrained eye, you’ve already lost 50 percent of your hair in that area. Early intervention is key, which is why these compassionate and caring hair stylists and salons are so important – they’re the first line of defense to help men and women catch it early.” Dr. Bauman recently graduated the first class of certified Hair Coaches and another class is scheduled for December 10th at Bauman Medical Group in Boca Raton. Bond Street Salon in Delray Beach, Florida is the first Palm Beach County salon to attain the designation as a Bauman Certified Hair Coach. “We’re excited to receive this specialized training from Dr. Bauman as the issue of hair loss is one that comes up frequently with our clients,” said Lauren Donald, owner of Bond Street Salon. “As an established treatment-based salon, this program resonates very well with our existing philosophy. It’s also a great new way for stylists to further help customers by offering proactive on-going hair loss and breakage evaluations with HairCheck. Best of all, we get to provide our clients with helpful and actionable information about their hair loss that keeps them coming back. It’s as simple as measuring and tracking their measurements every 3 months.” Bauman Certified Hair Coaches offer the following advantages: • Know how to help men and women suffering from hair thinning and hair loss • Provide HairCheck Consultations to measure the volume and density of hair and over time, determine if any problems exist – such as emerging hair loss or hair breakage • Incorporate Dr. Bauman’s proven hair-related programs that add value by helping clients with their hair loss concerns, increasing bookings and reinforcing client loyalty For salon owners, cosmetologists and other professionals interested in applying for certification in order to become a Bauman Certified Hair Coach, visit www.JoinTeamBauman.com. For consumers interested in finding a certified Hair Coach near them, visit www.CoachMyHair.com. This directory is still in the early stages, but over the next few months, new salons will be added. Visitors can also recommend that a salon or spa near them become certified by entering their information on the website. Referrers will receive a $25 gift card once a salon or spa they recommend becomes certified. The Bauman Certified Hair Coach program is rolling out nationally in collaboration with the Global Beauty Institute. For general information about hair loss facts and treatments, visit www.BaumanMedical.com. https://www.laserhat.info – Dr. Alan J. Bauman will discuss hair loss and advancements in low-level laser therapy LaserCap with Suzanne Somers on October 3rd. On Wednesday, October 3rd, 2012 Suzanne Somers the eponymous host of Lifetime Channel’s, The Suzanne Show will be discussing hair loss and new alternative treatments for patients with nationally prominent hair restoration expert, Dr. Alan. J. Bauman. The new talk show, featuring Suzanne Somers, who is known in the medical community as a passionate healthcare advocate, will include health tips, wide ranging education segments, and discussions on top critical health issues. Since over 50 million American men and 30 million women suffer from hair loss, and spend over $2 billion each year on treatments, the topic is a natural fit for the show, which focuses on educating viewers on how to live a healthy, full and ageless life. “We’re excited about the opportunity to discuss hair loss with The Suzanne Show and hope that viewers are empowered by the new drug-free and non-invasive technologies available to treat and prevent hair loss,” said Dr. Bauman, who has treated more than 15,000 hair loss suffers since 1997. “Our goal is to help consumers understand that hair loss is no longer inevitable,” says Dr. Bauman who points out on the show that there exists a wide range of non-invasive treatment options for the millions of men and women who suffer from hair loss. The Suzanne Show strategically partners with physicians and health experts who share Suzanne’s beliefs in progressive medicine and integrative health therapies. When Dr. Alan Bauman had the opportunity to meet Suzanne Somers at a major international medical conference, they discussed his holistic, multi-therapy approach to the treatment of hair loss that meshed, according to Dr. Bauman, “perfectly with Suzanne’s philosophy and direction of the show.” Says, Dr. Bauman, “Suzanne and I both agreed that her audience would appreciate the benefits of this new advanced technology as a way to treat hair loss.” As a nationally recognized expert in the field of hair restoration, Dr. Bauman will discuss the drug-free LaserCap, the first device of its kind and the latest breakthrough in laser therapy for the scalp. The “hands-free” device offers the power of a clinical laser therapy unit in a cordless, rechargeable, discreet treatment device that literally ‘fits under your hat’ for non-chemical, non-invasive, pain-free treatment almost anywhere, anytime. “The LaserCap is unique among low level laser therapy devices because it doesn’t require the patient to stand in front of a mirror for 10-15 minutes, manually ‘combing’ the area, as with hand-held comb lasers,” commented Bauman. “This is an exciting new tool for hair loss sufferers as it allows them a discreet treatment option that can easily be combined with exercise, work or even grocery shopping. And it works.” In recent years, low-level laser therapy has become more accepted in the treatment of hair loss, evidenced by FDA clearances of one specific brand of comb-laser, an in-office clinical device and a dramatic increase in prescriptions by hair restoration physicians. “Laser therapy has become a valuable tool for patients with hair loss, and allows patients a drug-free and side effect-free option,” explained Bauman, who has treated thousands of patients with laser therapy in his Boca Raton, FL offices for more than ten years. About LaserCap and Low Level Laser Therapy: Laser therapy is a non-chemical, non-invasive way to help men and women grow thicker and healthier looking hair. LaserCap fits into and under any hat, which when put on, gives patients complete coverage of their scalp. LaserCap has over 220 diodes, making it the most powerful portable laser therapy device for the scalp. In addition to LaserCap, there are numerous other products currently out on the market, such as laser combs and brushes, helmets and in-office clinical laser ‘hoods.’ Laser therapy, like other non-invasive hair growth treatments, is no ‘miracle cure,’ but it is an important tool in the treatment of damaged hair, thinning hair and hair loss. For more information on what kind of results you might achieve with laser therapy or how laser therapy can be added to your ‘multi-therapy’ hair restoration regimen, please visit https://www.baumanmedical.com To enter to win a FREE LaserCap, please visit https://www.laserhat.info for entry rules and conditions. Alan J. Bauman, M.D., founder of Bauman Medical Group in Boca Raton, Florida, is a full-time board-certified and internationally renowned hair transplant surgeon whose pioneering work has been featured extensively in the national and international print and television media, such as Newsweek, The New York Times, Cosmo, Vogue, Allure, Men’s Health, Today Show, The Early Show, Good Morning America, Extra, Access Hollywood and Dateline NBC. https://www.laserhat.info – What is LaserCap? Laser Cap is a clinically proven non-chemical, non-invasive way to help your weakened follicles grow thicker and healthier looking hair, without drugs or side-effects. Recently Dr. Day discussed hair loss and LaserCap with the women on ABC’s The View during Hair Loss Awareness Month, August 2012. Around the same time, Dr. Alan Bauman was featured on NBC Miami Live in Florida. Hair loss expert and laser therapy pioneer, Dr. Alan Bauman has prescribed laser therapy to thousands of hair loss patients with excellent results. But now, laser therapy now just got more portable, powerful and easier to use because the LaserCap is 40x more powerful than comb or brush lasers and you don’t need to stand in front of a mirror or visit a doctor’s office to perform the treatment. Just put the device under ANY hat, turn it on and go. You can walk, run, drive, sit, eat, work out or whatever! No more trips to the laser clinic and no more combing or brushing. Completely discreet (no funny looking helmet here!) so no one will know you are getting your treatment. You may qualify to win a FREE LaserCap from Bauman Medical Group. Visit www.laserhat.info to enter to win your FREE LaserCap including an evaluation by hair loss expert, Dr. Alan Bauman. Laser Cap has been featured on ABC’s The View as well as Lifetime’s The Suzanne Show with Suzanne Somers. Dr. Bauman was featured on The Suzanne Show on October 3rd, 2012.
https://www.baumanmedical.com – West Palm Beach, FL What’s new in hair transplant technology? Less invasive procedures, like NeoGraft FUE, allow for hair follicle harvesting without the need for a scalpel or stitches in the donor area, leaving NO linear scar to hide. Recovery is shorter, more comfortable and less restricted. In fact, non-contact athletic activity may resume in just three days. In about a week, the healing is complete. Artistic placement of harvested grafts, which contain as little as a single hair follicle, are used to recreate natural and permanent, living and growing results in the hairline, frontal or crown areas for male and female patients. Although scalp hair would be the best and most preferred match for scalp hair restorations, NeoGraft FUE also allows for harvesting of non-scalp body-hair follicles, such as beard, chest and even leg hair in specialized cases. Certainly, this is “not your father’s hair transplant!” For more information contact Dr. Alan J. Bauman of Bauman Medical Group in Boca Raton, FL. https://www.baumanmedical.com – Are YOU experiencing hair loss? Some social factors like Divorce, Smoking, Stress, Alcohol intake as well as medications, nutrition and hereditary causes can play an important role in hair thinning and hair loss. At Bauman Medical Group, since 1997 we’ve helped women and men from across the globe maintain, enhance and restore their own living and growing hair. From the latest diagnostic and hair growth tracking techniques, like HairCheck™, to non-chemical low level laser therapy, FDA-approved medical treatments as well as minimally-invasive NeoGraft “FUE” hair transplants, Dr. Bauman is focused on one thing… Your RESULTS! For more information on the treatments mentioned in this NBC “Miami Live” segment: ✦ Viviscal™ Pro nutritional supplement ✦ Formula 82M minoxidil ✦ Nutreve™ Personal Laser ✦ handsfree/cordless LaserCap™ or other hair restoration options, please contact Hair Restoration Physician: Dr. Alan J. Bauman, M.D. https://www.baumanmedical.com Boca Raton, Florida USA Email Dr. Bauman 1-877-BAUMAN-9 toll free 561-394-0024 A nationally-recognized and leading hair loss expert, Dr. Alan J. Bauman is one of a handful of physicians worldwide who is a Diplomate of the American and International Board of Hair Restoration Surgery, recommended by the American Hair Loss Association and member of the esteemed International Society of Hair Restoration Surgery. Thanks For Watching! What is the cause of hair loss? Not clogged follicles, not wearing hats, not scalp mites or bad circulation. DHT (dihydrotestosterone), a breakdown product of Testosterone is the culprit–especially if you inherit the sensitivity to it. Decreasing DHT production in the body requires finasteride (propecia) or dutasteride (avodart). Even women can be sensitive to DHT and other androgens. Genetic testing is available to determine how sensitive you are to DHT and whether your hair loss will be mild or severe over the course of your life. For more info on these diagnostic procedures, hair growth treatments and more, visit https://www.baumanmedical.com Watch Dateline NBC-FINAL RESULTS from the Follicle Five to see what treatment worked the best. Eyelash transplants can be performed for cosmetic or reconstructive purposes. If your eyelashes have been damaged by an accident, injury, burn or eyelash extensions, you may find that dust and debris fall into the eye easily. Eyelash transplant surgery permanently restores lashes to the lids, allowing them to perform their function normally. Eyelashes can also enhance the ‘look’ of your eyes, enhancing the eye area. Eyelash transplant surgery does what other eyelash lengthening treatments do not: permanently restore eyelashes to the eyelid. Transplanted eyelashes need to be routinely trimmed and curled (and even sometimes permed) as they do grow long. Not everyone is a candidate for eyelash transplant surgery, so check with a board-certified hair restoration physician, like Dr. Alan Bauman to see if you are a good candidate. Dr. Bauman is well-recognized hair transplant surgeon and has written a couple of chapters on eyelash transplant surgery for prominent Hair Transplantation textbooks. He is also a frequent lecturer and faculty member at Live Surgery Workshops, where he has presented important eyelash transplant surgery information to his colleagues. To see if you are a candidate for an eyelash transplant, visit https://www.eyelash-transplant.com or email Email Dr. Bauman directly. FDA-cleared to treat the wrinkles and fine lines around your eyes, the portable handheld Omnilux LED New-U is a chemical-free, pain-free, side effect-free, phototherapy device that uses the same wavelength and power as the in-office professional units. Treat the early signs of facial aging in the comfort of your home at the fraction of the cost of a doctor’s visit. In this case, the FDA required clinical efficacy data in order for the Omnilux to receive clearance for the treatment of wrinkles. Dr. Bauman is a phototherapy expert, having used Low Level Laser Therapy and LED phototherapy for over ten years in his practice for wound healing, pain control, hair growth and facial rejuvenation. Recommended treatments are 20 minutes twice a week, alternating between the red and near infrared wavelengths. Clinical trials revealed improvements in as little as 4 weeks. Before and after photos are available at 4, 8 and 12 weeks which show significant improvement. The Omnilux New-U LED ‘MD version’ is available at baumanmedical.com or by calling the office 561-394-0024. Bill O’Reilly and Dennis Miller discuss the healthcare plan, Botax, Cosmetic Surgery, Pelosi and Hair transplant procedures. Miller compares his ‘hair plugs’ to Biden, claiming superiority for his 2500+ “private sector” follicular units over those performed on Biden. As part of their “New Year, New You” series, CBS Early Show covers the latest breakthroughs in hair transplant surgery with hair loss expert Alan J. Bauman, M.D. ‘live’ in-studio. Today’s FUE/NeoGraft hair transplants are “not your father’s painful hair plugs.” Less invasive means less discomfort, faster healing and no linear scar. International Society of Hair Restoration Surgery is the educational organization for hair transplant surgeons. The American and International Board of Hair Restoration Surgeons certifies physicians who perform safe and aesthetically-sound surgery. The American Hair Loss Association is a consumer organization that is the clearing house for industry complaints. 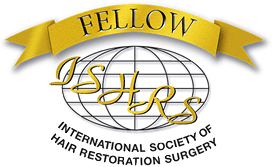 The International Alliance of Hair Restoration Surgeons, a consumer organization, screens physicians based on their experience, expertise and artistry. 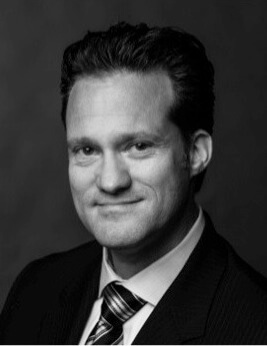 Learn more about NeoGraft / FUE at https://www.baumanmedical.com Follow Dr. Bauman on Twitter https://www.twitter.com/DrAlanBauman Dr. Alan J. Bauman is the medical director of Bauman Medical Group. Dr. Bauman is certified by the American and International Board of Hair Restoration Surgeons, recommended by the American Hair Loss Association and accepted by the International Alliance of Hair Restoration Surgeons. He has spent the last 15 years specializing in helping patients maintain, enhance and restore their own living and growing hair. Dr. Bauman was one of the first physicians in the U.S. to offer NeoGraft/FUE to his patients in Florida. https://www.baumanmedical.com — The prostaglandin-analog Bimatoprost, the active ingredient in Allergan’s Latisse, has been FDA-approved to increase eyelash growth. New research shows that scalp hair follicles contain prostaglandin receptors. Is Latisse the ‘new’ rogaine/minoxidil for people with scalp hair loss? Bauman patient, Howard G., tries the medication and reports some moderate hair growth from the treatment. Howard is not using any additonal medicaitons (like Propecia/finasteride or Minoxidil) and has not had a hair transplant. Since this video was posted, Allergan has initiated clinical trials to achieve FDA-approval of bimatoprost for hair growth. Dr. Youn describes NeoGraft as a revolutionary breakthrough in hair transplant technology and compares it with more traditional ‘linear-harvest’ techniques. NeoGraft assists with Follicular-Unit Extraction (FUE) hair transplant procedures–which uses no scalpel and no stitches and leaves no linear scar. For more information on NeoGraft, visit https://www.baumanmedical.com FUE hair transplant procedures using NeoGraft are available at Bauman Medical Group in Boca Raton, https://www.baumanmedical.com. Dr. Alan Bauman is a board-certified Hair Restoration Physician and one of 50 surgeons recommended by the American Hair Loss Association. Watch an FUE procedure from start to finish at https://www.hairofnalts.com What is FUE or Follicular Unit Extraction? FUE is a minimally-invasive harvesting technique in hair transplant surgery that does require the use of scalpel, stitches or staples in the donor area. FUE leaves no linear scar and enables patients to return to physical activity quickly and wear their hair short without the risk of a tell-tale linear scar. FUE has the added benefit of being associated with less discomfort than traditional hair transplant techniques. What is NeoGraft? NeoGraft is a mechanical hair transplant device which assists the surgeon in performing FUE hair transplantation. It is often called an ‘automated’ FUE device, but in reality the operator needs significant skill and high-powered magnification to perform the procedure properly. NeoGraft allows for more accurate harvesting of hair follicles during transplantation than manual FUE techniques. It is also faster and therefore more time-efficient for the patient. Fewer hair transplant surgeries are needed with NeoGraft than with manual FUE techniques. FUE hair transplantation is becoming increasingly popular with patients who like to wear short haircuts as well as those who routinely participate in athletic activities. In this video, you will meet Paul, one of the participants in the Dateline NBC year long study on different hair loss treatments and their results. Paul receives a hair transplant from Dr Alan Bauman at Bauman Medical Group. This is Paul’s experience and contains deleted scenes not shown in the Dateline NBC Follicle Five videos. Dateline NBC performed a yearlong study of the efficacy of hair loss treatments. 5 subjects participated in the study. This is the introduction to the story. Dr Bauman discusses newest genetic test to predict baldness as a preventative measure to hair loss and restoration procedures. Dr Alan Bauman reviews shampoos and gives hair care tips for summer. Recently, hair loss treatments and hair transplant techniques have improved dramatically. ABC News story with Dr Bauman discussing a new genetic test for potential hair loss and baldness. Dr. Bauman is head of Bauman Medical Group in Boca Raton, which specializes in all types of hair restoration and hair loss treatment. He remains on the cutting edge of new treatments – involved in new research, utilizing the most advanced techniques, equipment and medications. Ready for dispensing in Florida, Dr. Bauman has Latisse for eyelash growth for his patients. Eyelash transplant pioneer and board-certified hair restoration physician, Dr. Bauman, is one of a handful of physicians who received the medication ahead of most practices and all pharmacies. As a dispensing physician in Florida, Dr. Bauman can dispense the medication to patients after an appropriate medical consultation. The drug may be used as a stand-alone treatment or in conjunction with eyelash transplants. This news interview was videod in Phoenix, Arizona while Dr. Bauman was lecturing on Eyelash Transplant procedures at the American Academy of Cosmetic Surgery (AACS) Annual Meeting. You’ve never seen a harpist like this. Victor Espinola at the WXEL Garnet Society cocktail party at the Orchid Society Pavillion in Delray Beach, Florida. Don’t miss the finale, it starts at around 03:00. Recorded on February 12, 2009 using a Flip Video camcorder. Bauman Medical Group patient Jody Jack loses inches in just days using breakthrough laser treatment called Zerona. Zerona is a non-surgical fat-reduction treatment that is a non-invasive alternative to liposuction. For more information on Zerona, email Email Dr. Bauman or visit https://www.bocalipo.com One of the most frequent comments we get is “Why did Jody choose this procedure, she’s not overweight.” And, actually, that’s kind of the point of the treatment. This is a non-invasive treatment to help relatively ‘fit’ patients lose some inches off of problem areas in two or three weeks. It is NOT a weight loss program for obesity. In our experience with Zerona since 2008, patients who have had the best results are those who are somewhat physically active and in generally good health. If you do not move around (e.g. exercise), and do not follow good nutrition, this may not be the treatment for you. You are unlikely to get exceptional results if your body cannot burn off or otherwise get rid of the fat that is released from the cells. However, if you are working on a healthy lifestyle or would like to really kick-start one, Zerona can really help you lose inches fast. In clinical trials and in ‘real life,’ our patients will typically lose anywhere from three to nine inches of total combined circumference. Most Boca patients will do three weeks of treatments (nine visits). To see if you are a candidate, I recommend contacting us for a realistic evaluation of your situation. After three years with this device, I can tell you that we turn patients away ALL THE TIME. Breaking News: The FDA has now cleared the Zerona (Erchonia ML Scanner) for safety and efficacy in fat reduction, inch loss and fat cell disruption. Joan Denton was suffering from severe female pattern hair loss. BayNews9 followed her through her hair transplant results with Dr. Bauman. Low Level Laser Therapy is a non-invasive hair regrowth option for women. Stephanie Robin’s inspiring story about her personal fight against breast cancer aired on FOX29-WFLX Palm Beach Florida during Breast Cancer Awareness Month. Think Pink Rocks – Nonprofit event for breast cancer. Queen Latifa, AKON, Flo RIDA and others ‘rocked’ Boca Raton Florida to support “Think Pink Rocks” a fundraising event for breast cancer research. https://www.baumanmedical.com – Low Level Laser Therapy is a safe, effective and viable option for patients after chemotherapy to help enhance hair growth.Breast cancer survivor, Maria, had weak hair growth after chemo which never returned to normal. Using laser therapy, she had a significant improvement in hair quality and coverage of the scalp. The treatments were performed by Dr. Alan Bauman at Bauman Medical Group in Boca Raton Florida USA. The treatments were provided at no cost by Dr. Bauman as part of Bauman Medical Group’s pro-bono hair restoration programs. NBC TODAY SHOW investigates the new genetic test for hair loss. Men and women can now assess their risk for hair loss at an early stage. More info on treatements and diagnostic procedures on South Florida Today (NBC), live in the studio. When it comes to hair loss, early detection and treatment give the best results. Genetic testing for men and women, combined with effective non-invasive treatments and close tracking of results can reduce the need for hair transplants. Compounded Finasteride–propecia alternative and compounded minoxidil (stronger than OTC rogaine) are available by prescription. Compounded finasteride is less costly than Propecia. Laser therapy enhances hair quality and promotes hair growth. First in Florida, Bauman Medical offers the genetic test for baldness and hair loss risk. Dr. Bauman and his patients were in-studio guests, live on ABC News/WPBF-Palm Beach, Florida morning news anchor Bob Kaple. Longer lashes that need to be trimmed are the result of eyelash transplants performed by Dr. Alan Bauman. Actress Abbe Lerman from Los Angeles was looking for the solution to weak lashes when she contacted Dr. Bauman. Abbe was one of the patients whose results were shown at the Live Patient Viewing portion of the International Society of Hair Restoration Surgery Conference in Las Vegas in 2007. Eyelash transplant patient, Jodi, has her lashes trimmed, tinted and permed by Dr. Bauman’s “Eyelash Stylist,” Ellie Malmin. Treatment options for women include minoxidil/rogaine, laser therapy, hair transplants and even Propeica. Dr. Bauman discusses treatment options with Roxanne Stein of NBC-Palm Beach Florida. https://www.eyelash-transplant.com – Extend your lashes, permanently! Sylvia Perez (ABC News Chicago) interviews Dr. Bauman regarding eyelash transplants and eyelash conditioners that restore growth and make lashes grow long, thick and dark. 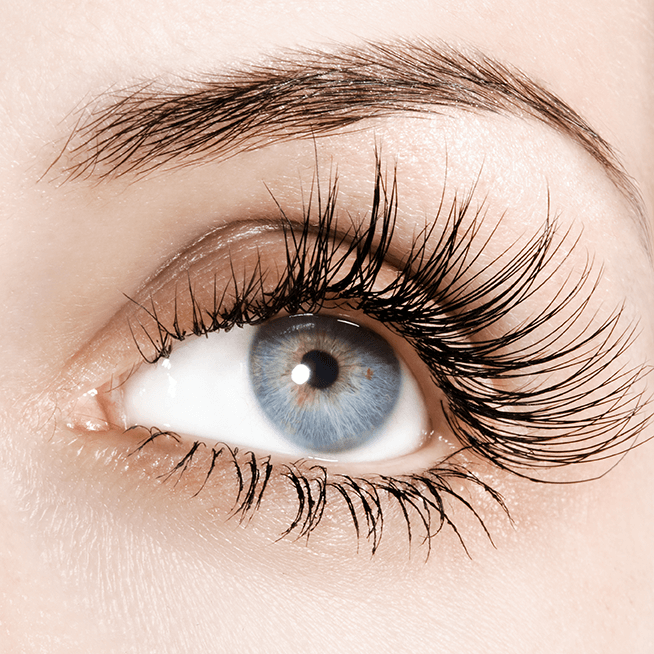 Eyelash transplantation is a delicate procedure that requires surgical skill and artistry. Dr. Alan J. Bauman has consistently performed eyelash transplant procedures in his practice for over ten years. His eyelash transplants have been featured on ABC Good Morning America, NBC Today Show, FOX News, CBS Early Show and in Vogue, W magazine and in the Wall Street Journal. For more information on eyelash transplants, visit https://www.eyelash-transplant.com Bimatoprost/Latisse is now being tested on the scalp for hair growth. Allergan is currently in clinical trials for Latisse for the scalp. It also works well for eyebrows. https://www.eyelash-transplant.com – Follow Jodi and Kim through their eyelash transplant procedures. CBS News was on hand at Bauman Medical Group in Florida when board-certified Hair Restoration Surgeon, Dr. Alan J. Bauman MD performed Kim’s Eyelash Transplant. Dr. Alan J. Bauman is recommended by the American Hair Loss Association and is one of the most experienced eyelash transplant surgeons in the world. Anti-Frizz, Anti-Flat, For Thinning Hair… Which hair care products do what their manufacturers promise? NBC and iVillage’s Janice Lieberman along with Dr. Bauman, his staff and patients put some popular shampoos and conditioners to the test. While attending and lecturing at the American Academy of Cosmetic Surgery conference in Phoenix, Arizona in January 2007, Dr. Bauman was interviewed by KPHO-Channel 5 regarding eyelash transplant procedures. visit https://www.eyelash-transplant.com for more info on eyelash transplant surgery as well as before and after of some of Dr. Bauman’s results. In January 2007, a low level laser therapy hand-held device was given FDA clearance for the treatment of hair loss. In-office laser therapy treatments are continuing to gain in popularity. Watch for improved hair growth results with newly improved laser regimens. “Be Wise About Beauty” is a campaign designed to educate the general public about Cosmetic Surgery. The educational initiative is sponsored by the American Academy of Cosmetic Surgery. The American Society of Hair Restoration Surgery is a part of the American Academy of Cosmetic Surgery. Eyelash transplant patient Rachel Dauod was interviewed on Sonoran Living Live in Phoenix, AZ. Dateline NBC’s FOLLICLE FIVE ‘reveal’ their six-month results of Dr. Alan Bauman’s hair growth treatments, including hair transplant, propecia/finasteride, minoxidil/Rogaine, laser therapy and nutritionals. You may be surprised by the results… For more information on Dr. Alan Bauman, visit https://www.baumanmedical.com For more information on less invasive hair transplant FUE with NeoGraft, visit https://www.neograft.info For more information on laser therapy for hair growth using the Laser Cap, visit https://www.lasercap.info The most important thing to know about male pattern hair loss or baldness in men is that it is a progressive condition which gets worse over time. The good news is that medical treatments can stop the progression of hair loss and procedures like hair transplantation are able to undetectably restore hair growth. 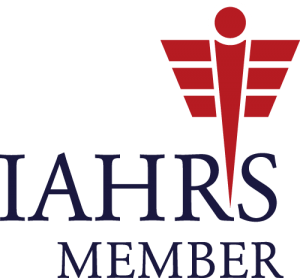 Find a qualified and certified hair transplant surgeon and hair loss expert by doing your research at ISHRS.org, AHLA.org and ABHRS.org Remember that every hair transplant surgeon has a different philosophy. Artistry (as well as surgical skill) is critical for creating a hairline that looks natural so choose wisely. Follicular Unit Extraction (FUE) is a minimally-invasive hair transplant procedure performed by Dr. Bauman. Dr. Bauman designed the first commercially-available instrument specifically for physicians who perform the FUE procedure years before NeoGraft became available. Visit https://www.baumanmedical.com for more info. Dr. Bauman now offers FUE with NeoGraft. The NeoGraft device makes the FUE procedure faster and more efficient–harvesting more hair per procedure than before. Dr. Bauman’s original “Hair Restoration Vacation” as seen on CNN and in USA TODAY in 2002. For more information on Dr. Bauman’s hair transplant procedures, visit https://www.baumanmedical.com This story was filmed at Bauman Medical Group in Boca Raton and at the Boca Raton Resort and Club. Patients stay for approximately one week in Boca Raton to recover cosmetically from their hair transplant procedure. With new, less invasive techniques like NeoGraft FUE, there is no stitches or scalpels used in the donor area for harvesting. This heals more comfortably and quickly than older “Linear” harvesting techniques. There is little discomfort during and/or after the procedure because the procedure is done without removing a strip of scalp. Each follicle or follicular unit is harvested individually. For more information on the NeoGraft FUE technique, visit https://www.neograft.info. News-anchor Jim Abath filmed his hair transplant procedure with Dr. Alan Bauman, documenting it minute-by-minute. Each step and stage is documented in the story. See the results in the other “Anchorman” video. Read about Men’s Health Editor, Doug Dechert, and his hair transplant surgery with Dr. Alan J. Bauman at Bauman Medical Group.